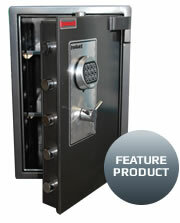 Established in 1991, Action Lock Service has provided expert emergency locksmith services in Perth for 25 years. Over that time, we have grown from a single locksmith with a van to a large retail outlet in Balcatta with four mobile workshops providing a full 24/7 emergency mobile locksmith service at highly competitive rates for residential and commercial customers. Our mobile locksmith vans cover the entire Perth metropolitan area for all on-site work. As members of the Master Locksmiths Association of Australasia (MLAA), you can rely upon the professional locksmiths at Action Lock Service for all your home security needs. We supply a broad selection of high-quality locks for residential properties across Perth, including screen door locks, deadbolts and deadlocks, as well as a wide range of locks for replacement windows. We take your home security seriously and every member of our installation team is a fully qualified and experienced locksmith. This enables us to provide you with expert and up-to-date advice about your home security – our friendly local Perth locksmiths are always on hand to help you understand which door and window locks and bolts best suit your residential security needs. 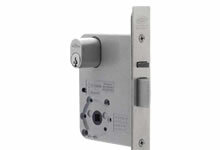 Call Action Lock Service today on 08 9240 7200 for the best locksmith services in Perth. Along with residential locksmith services, Action Lock Service has served the Perth business community with distinction for many years and has earned the enviable reputation as leading commercial locksmiths in Perth. We cater for businesses of all sizes, so don’t hesitate to give us a call at any time of the day or night – no job is too big or too small for our expert team of fully qualified commercial locksmiths. We undertake all types of commercial locksmith work for our business customers, including access control systems, exit door services, real estate repairs, rekeying, repair, supply and installation of all types of locks, commercial safes and after-hours locksmith services. If you need a mobile locksmith in Perth, call Action Lock Service. Whatever the problem, you can rely upon Action Lock Service for all your automotive locksmith services – we’re widely renowned as the leading car locksmith in Perth. We carry out automotive locksmith services for both private and business customers across Perth. 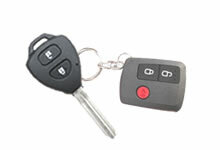 The car locksmith services we provide include the following: the supply and programming of all types of transponder keys, motorbike keys, remotes and vehicle proximity keys, re-keying car locks, removing and reprogramming car ECU’s, unlocking all car makes and models, vehicle keys cut to code, and insurance work. 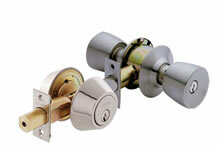 Action Lock Service also provides safe services for commercial and residential customers across Perth. 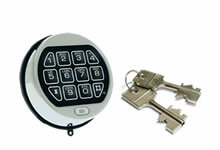 The services we provide include the supply and installation of all safe types, safe repairs and servicing, opening of all safe types, the supply and installation of gun safes, locks upgraded to digital keypads and more. Action Lock mobile emergency locksmith service covers all of Perth and surrounding areas – no matter the location, our high-quality service never falters. As much of the work we carry out is in the suburbs surrounding Balcatta, we are well suited to provide expert locksmith services to Morley, Stirling, Yokine, Malaga, Balga, Tuart Hill, Carine and Osborne Park.